Most people don’t think much about honey unless they happen to see a bee out collecting pollen or want to put something sweet in their coffee or tea. 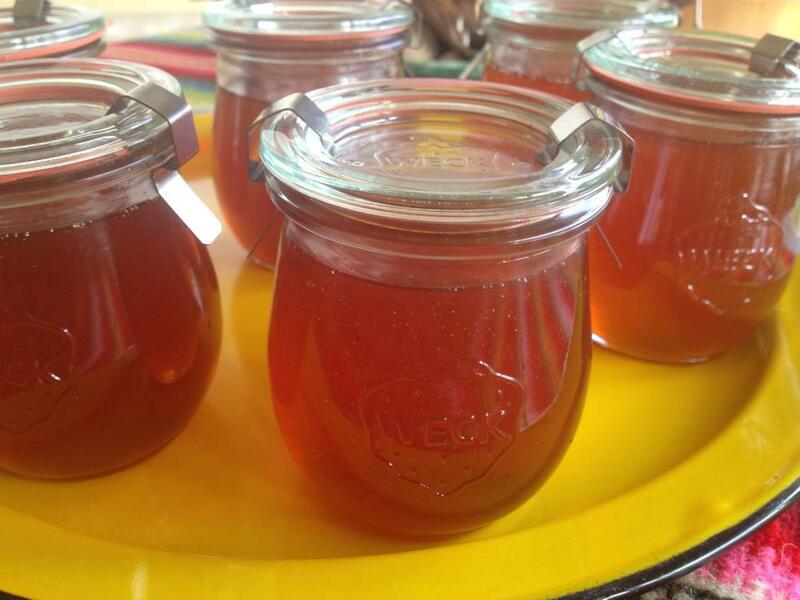 But honey has some amazing medicinal properties and can treat a variety of maladies. Over and over again, honey has been shown to be effective on everything from healing wounds to helping to treat pain. Most of the time, honey can be used alone to treat certain conditions, but it is also combined with other treatments as well. Here are some of the ways that you can use honey as a medicine. Most minor wounds heal on their own, but they can sometimes get infected and larger wounds are a greater danger. However, honey is a powerful substance when it comes to healing minor wounds, scrapes, burns and cuts. This is due to several helpful properties of honey including: sealing the wound so that contaminated materials do not get inside and cause an infection, killing bacteria and preventing growth because of the acidity and inhibiting bacterial growth due to the low percentage of moisture. In laboratory studies, honey has been shown to speed up healing of various parts of the body. It helps to create new blood vessels to replace damaged ones or repair the damage, it helps collagen production and speed up cell formations as well. This is because when you use honey you are able to keep the enzymes and proteins that actually do the healing inside the wound because of the seal that honey creates and because of the fact that it adds nutrients to the tissue trying to regrow. Also, inflammation and swelling both go down when you use honey. In some cases, scarring has been minimized or prevented with this amazing product made by bees. You can get honey from just about anywhere, but some types work better than others, and there are some honey products out there that have the bacteria already removed. This is known as medical grade honey and it is produced under tightly controlled conditions to ensure that it can be used safely for medical purposes. The antibacterial property of medical grade honey has been tested on various bacterial infections in the laboratory with very positive results. Infections like cellulitis (Staphylococcus), E. coli and Enterococcus faecium were killed within 24 hours in the laboratory with medical grade honey. Honey is also a popular product to put into cough drops, because it seems to soothe the throat and help to minimize coughing better than just about any other substance out there. The major manufacturers of cough drops like Vicks and Ricola use honey in their cough drops, combined with other ingredients like menthol and various ingredients for taste. Often, honey is combined with lemon in cough drops and many people make their own at home.